UP Manila celebrated the 39th anniversary of its autonomy as the country’s Health Sciences Center and the 36th of its name, UP Manila, on October 22, 2018, with an affirmation of the virtues “Mahusay, Makabuluhan, Pampagbabago” (roughly translated, excellent, relevant, change-oriented). 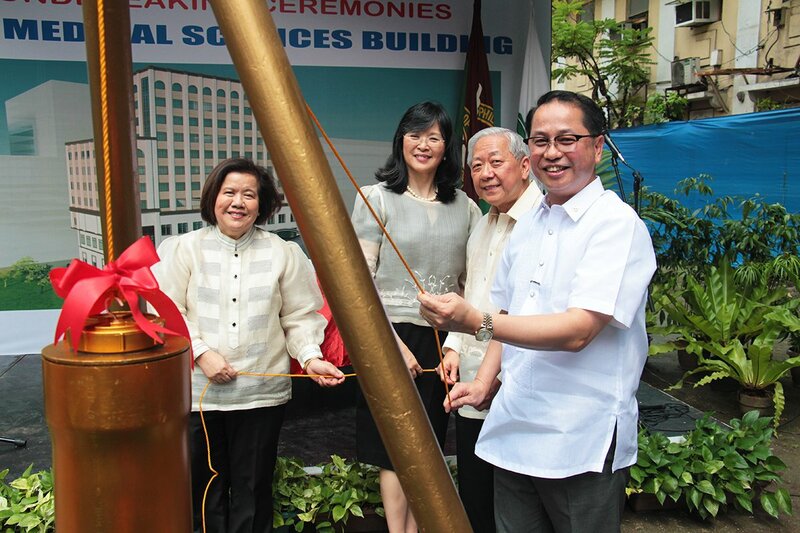 The celebrations included the blessing of new and renovated facilities, the ground-breaking for an 11-story medical sciences building, the launch of research and student-support programs, and an awards ceremony for UP Manila constituents. UP President Danilo Concepcion attended the celebrations, signing a Memorandum of Agreement with the UP Manila Alumni Foundation Inc. (UPMAFI) for the construction of the UP College of Medicine Medical Sciences Building, in which P400 million will be raised by UPMAFI, and P70 million by the UP System Administration. According to newly appointed College of Medicine Dean Charlotte Chiong, the new building is an impetus for more collaborative research on Philippine medical problems and a venue for medical students to obtain dual and higher, research-based degrees. 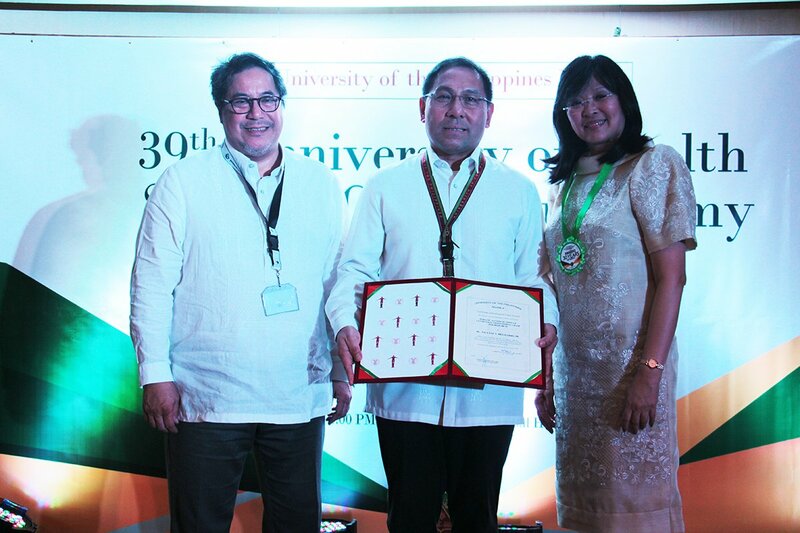 In his speech during the ground-breaking, Concepcion commended the team effort of UP Manila sectors, most especially on projects with its alumni, to benefit the people. 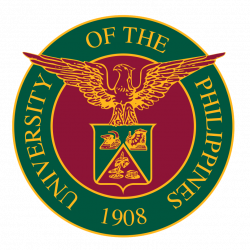 “Bilib na bilib ang buong UP System sa pagmamalasakit ng mga alumni sa ikagagaling ng UP Manila (The whole UP System is impressed with the amount of concern the alumni have for the welfare of UP Manila),” Concepcion added. 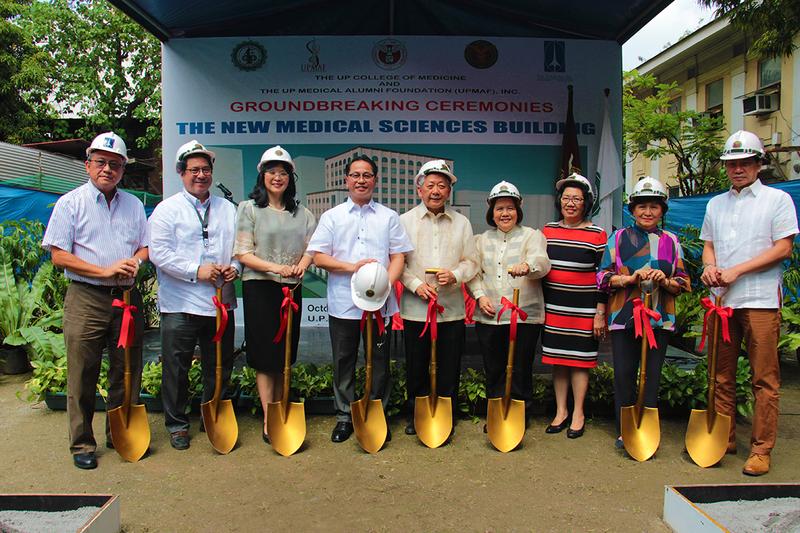 The outstanding team effort is manifested in the scale of the medical sciences building project, he said, which UP Manila expects to finish in 24 months. Concepcion highlighted the UP System’s support for maximizing space and for creating pedestrian-friendly and breathing spaces on campus. He spoke of a new library for which the UP System has committed P200 million to begin construction, it is hoped, before the end of the year. 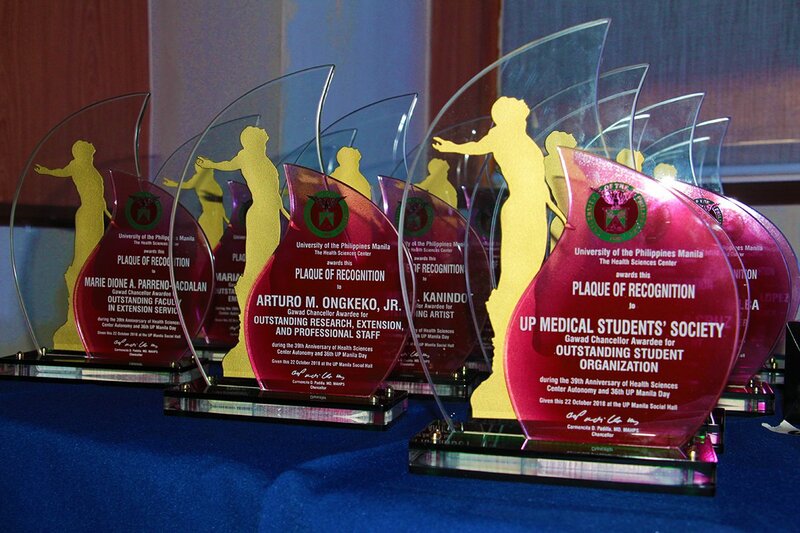 Later in the day, 25 retirees, and 109 faculty, administrative, and REPS employees who had served 20 years, 25 years, 30 years, 35 years, and 40 and above years were given awards, together with Gawad Chancellor recipients for outstanding teacher, researcher, faculty in extension service, REPS, administrative employee level I and level II, student, student organization, athlete, and artist awards. Dr. Isidro Sia, a UP Manila retiree, gave the response in behalf of the honorees during a gathering at the UP Manila Social Hall. 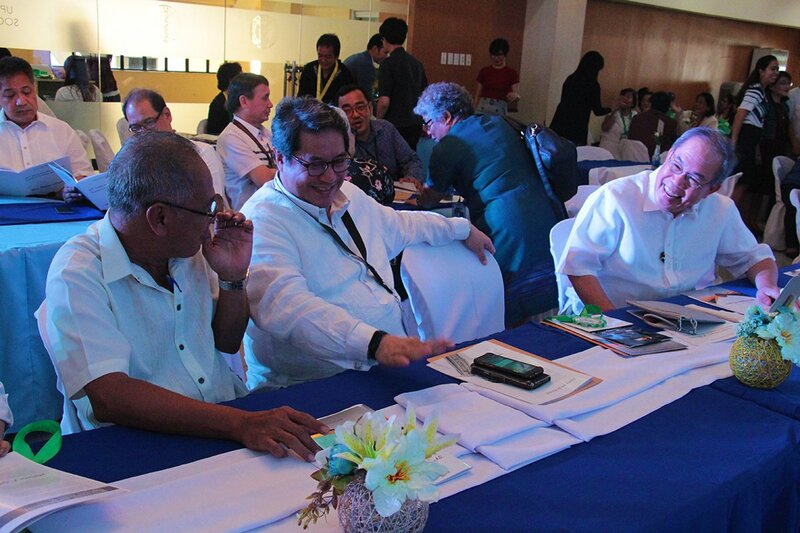 In the same gathering, UP Manila was launched as WHO partner in the Social Innovation in Health Initiative. Also launched was a mobile application, Lift Up, for students to access psycho-social counselors online; and a computer loan program for students as well. The keynote speaker for the gathering was UP Vice President for Public Affairs Jose Dalisay Jr. “I’m very glad to be here in UP Manila, which I consider to be UP’s historic home, the cradle of its spirit, of its ideals and traditions. In keeping with that spirit, I’ll speak today about the freedom to think, to speak, to study, and to teach—things which we in UP tend to take for granted, but shouldn’t.” The full text of his speech is accessible here.